London (United Kingdom) – June 5, 2017 (travelindex.com) – During the evening of the 3rd June London suffered from the cowardly acts of terrorism. The World of Tourism from the four corners of the globe stands with London today to say that we strongly condemn this latest attack perpetrated in the heart of London. 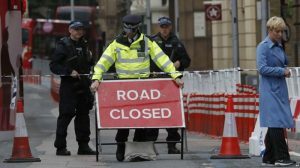 The world was still getting to terms with the recent Manchester attack, and as the great British People were getting to terms with that incident another blow strikes to disrupt lives in Great Britain. As far away as the Seychelles, sitting right in the middle of the Indian Ocean, but still part of the World of Tourism I say heartfelt condolences and sincere sympathy to the families and friends of the victims and to the people of Great Britain. A call I made for the recent UNWTO elections for the post of Secretary General was for Ministers of Tourism and also those for Internal Affairs to sit with the Press Fraternity alongside the tourism industry’s public and private sector, the UNWTO and WTTC, to analyse such threats as what happened in London last night. It is very clear that this is a matter for the international community to rally together because innocent lives are being lost and economies threatened because some seem to enjoy such acts of destruction. Today I again call for the Community of Nations to meet and to get the Press on board. Great Britain cannot do this alone, and as we see the number of Cities of the World affected at one point in time by such carnage get longer, we need to join forces and search for solutions.